Check it out now while the students are home for the summer because once September rolls around we have a feeling Chez Anh (435 Sunnyside Ave.) will be overrun. It’s not like Vietnamese food is a novelty in Ottawa, but this tiny 16-seater is offering something a little different. Gone is the mega-long pho/bun menu Ottawans are used to. In its place, a super-succinct list of three lunchtime items (two bánh mì options and a northern-style pho — you’ll love the slices of fried dough!). At dinner, there are vermicelli bowls, rice wraps, and pate chaud (four little puff-pastries stuffed with a spicy minced pork pâté). 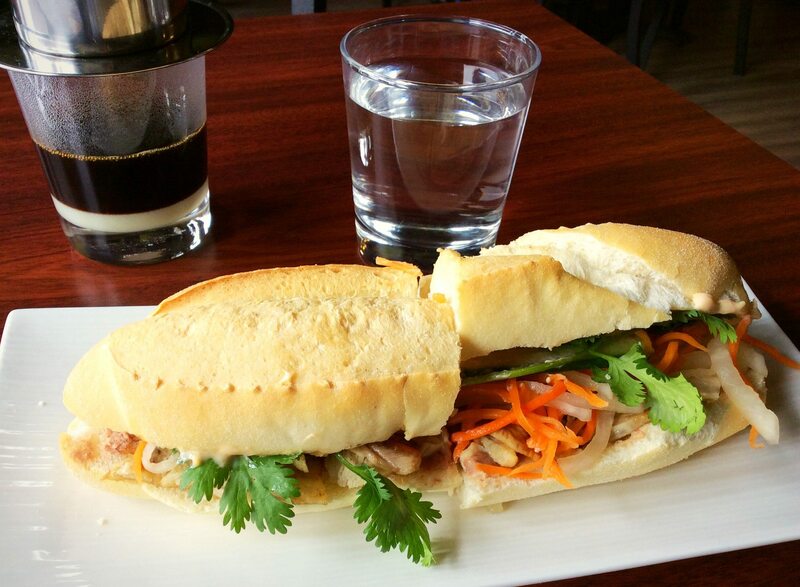 The menu at Chez Anh includes two kinds of bánh mì. Chez Anh, which opened just a few weeks ago, is still finalizing the menu, so stay tuned. Us, we’re smitten with the pate chaud and delectable homemade desserts. Yes, desserts! Cross your fingers the French macarons aren’t sold out on the day you stop by. We hear rumours of Japanese cheesecake, too, though it wasn’t available on our visits. City Bites Hot Tip: If all 16 seats are full, opt for takeout. It’s just a five-minute walk straight down Seneca Street to the shade of Brewer Park. City Bites Hot Tip #2: If you’re a kimchi fan, ask for it to be added to your bánh mì order. Ottawa’s own Heirloom Kitchen just started supplying Chez Anh with jars of colourful-crunchy kimchi — the ultimate condiment for just about any sandwich.